A Dorset business has donated £500 to help the people on the Caribbean island of Dominica after the devastating hurricanes. 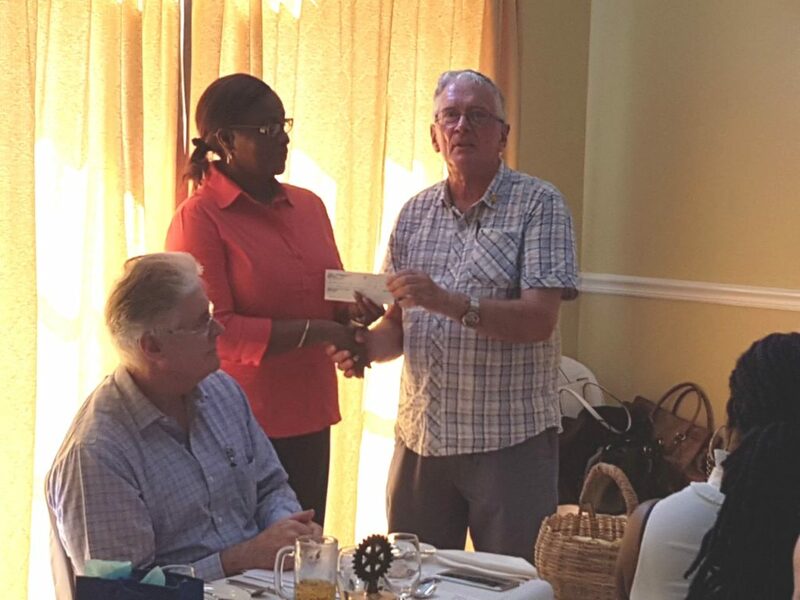 Douch Family Funeral Directors has close ties to the island and Chairman Peter Douch made the donation while visiting the region. While Puerto Rico and other parts of the Caribbean and US have received much media coverage, Dominica has been forgotten. However, with the help of Rotary clubs in the UK and on the island of St Lucia, the relief effort is well underway. Nick Douch, managing director of Douch Family Funeral Directors, said: “I spent the first six months of my life on the island and the family still has very close ties. “Hurricanes Irma and Maria wreaked havoc across the region and Dominica was one of the most badly affected places. “Roofs on at least 80% of the island’s buildings were torn off, heavy water made the roads crumble and at least 15 people were killed with others left missing. “My father donated a cheque to the Dominica Hurricane Relief Fund, which is raising money to help. The Rotary Club of Gros Islet is using The Rotary Club of Portsmouth Disaster Account at National Bank of Dominica – number 315001393 – where people can give money. Dominica is part of the Windward Islands in the Lesser Antilles archipelago in the Caribbean Sea and a population of about 74,000.